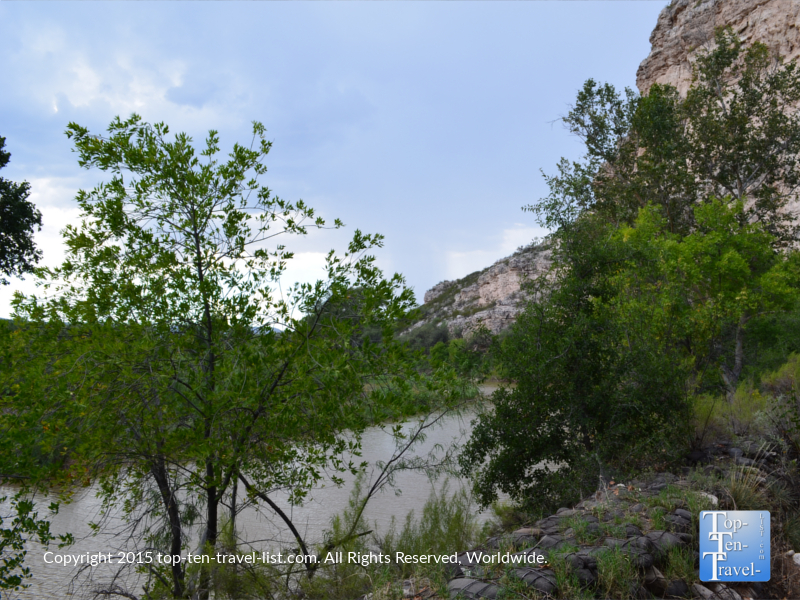 Montezuma Castle: A 900+ Year Old Ancient Apartment Building - Top Ten Travel Blog | Our experiences traveling throughout the US. 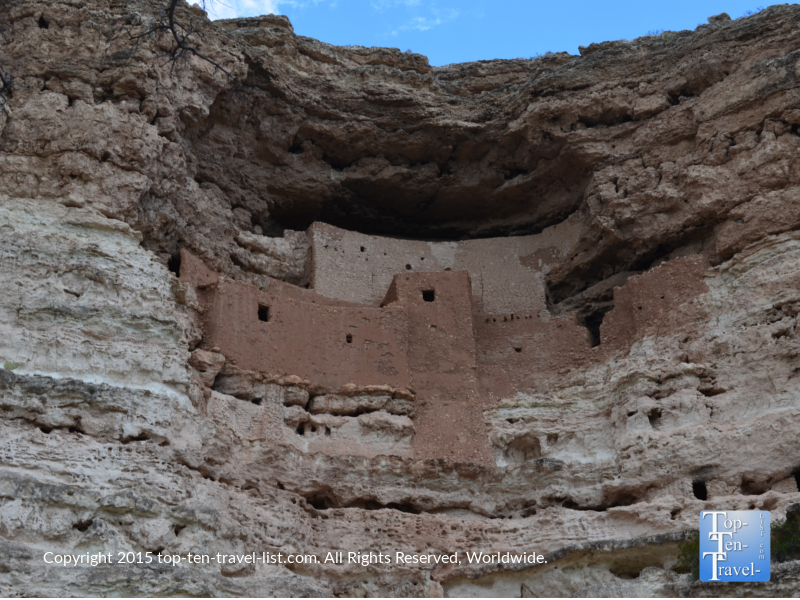 Montezuma Castle, a 5 story, 20 room living space built by the Sinagua people between 1100-1300, is one of the best preserved cliff dwellings in the country. In 1906, President Roosevelt declared Montezuma a place “of the greatest ethnological value and scientific interest,” making it one of the first four national monuments. The dwellings are built 100 feet above the ground in a natural alcove, this being one of the reasons for their preservation. The ancient Sinagua people occupied both the forested and desert lands of central and Northern Arizona, including the western Mongollan Rim, the Verde Valley, and the San Francisco Mountain Volcanic Field, between the 7th-15th Century. Read more about the interesting Sinagua people. When early settlers discovered the ruins in the 1860s, they named it Montezuma, believing it was Aztec in origin. However, the castle was abandoned over 40 year before the Aztec emperor Montezuma was even born (The Sinagua left sometime around 1425). Almost no original artifacts remain due to looting over the years. 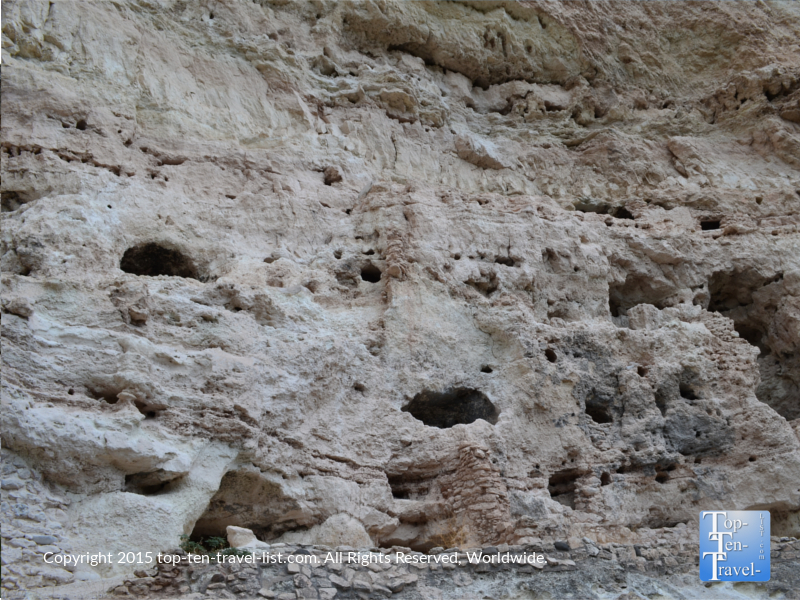 There is an easy 1/3 mile paved path where you can look at the ruins and read some interesting historical facts about the dwellings and the Sinagua people. The path is shady with pretty Sycamore trees lining the path. Back in the day, tourists could tour the inside of the dwelling, however, this has been off limits since 1951 to prevent further damage. Montezuma resembles an ancient apartment building. It’s hard to imagine these ancient tribes using ladders to haul all their materials, food, and water up. It’s also unbelievable that they built this dwelling on the limestone cliff with no modern technology, just ladders and their own hands. It’s hard to imagine people in the past living in such conditions, which is what makes it all the more interesting in today’s society. Next to the castle you will find the remains of another dwelling, Castle A, a 5 level, 45 room dwelling, which was destroyed by fire in the 1400’s. Beaver Creek, which flows just below the ruins, was a source of year round water making the area a great place to inhabit. In the Visitor’s Center, you can learn more about the Sinagua people and browse through a small section of souvenirs. Overall, Montezuma is an interesting road side attraction. It shouldn’t take you more than an hour or so to walk the short path and read all the interesting facts about the Sinagua. I wouldn’t necessarily go out of my way to visit Montezuma as it is a short stop with not much to see, however, it makes a great detour on the way to Sedona, Flagstaff, or the Grand Canyon, as you will already be traveling this way anyways. Those interested in the history of the Southwest and Native American tribes will find Montezuma the most worthwhile. 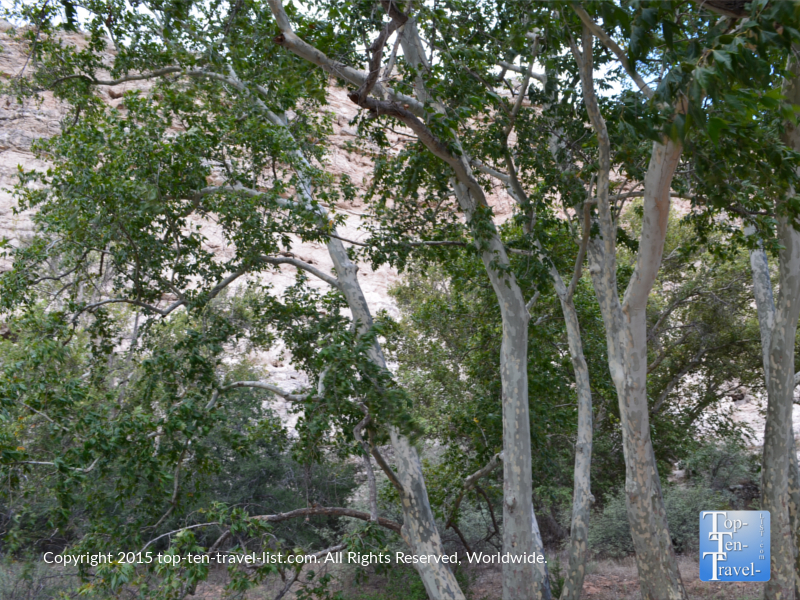 Montezuma is located about 90 miles north of Phoenix, 45 minutes south of Flagstaff, and about 30 minutes from Sedona. To get here, follow I-17 to exit 289. 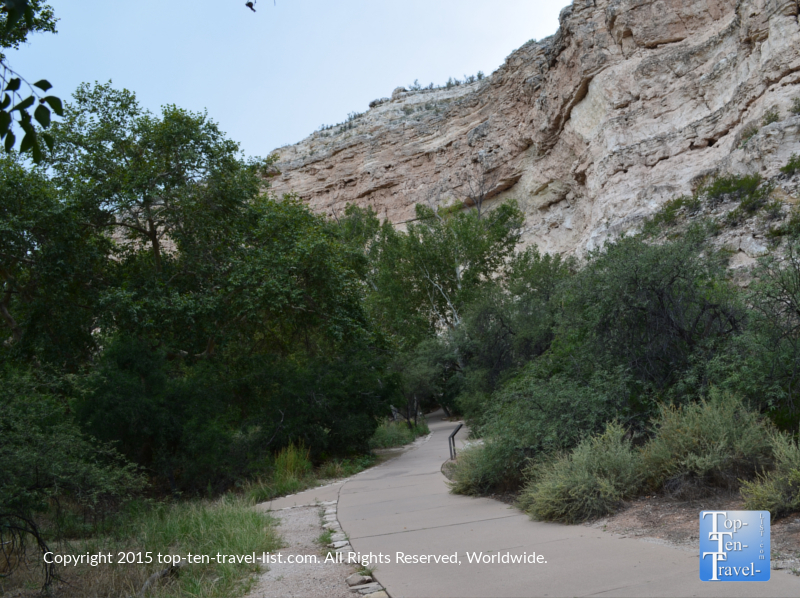 Turn left on Montezuma Castle Road. The cost is $5 per adult. I recommend an annual National Parks “America the Beautiful pass,” which includes admission to Montezuma and every other national park/monument in the country for 1 year at the low price of only $80. 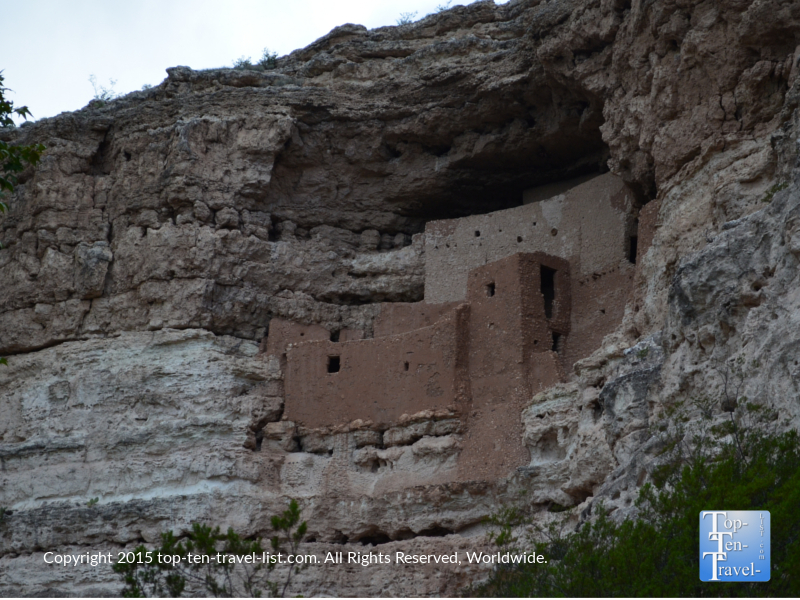 Have you ever visited Montezuma Castle? What other national monuments/parks in Arizona would you recommend?